Spring-loaded double deadbolt locking system, 3/4" x 1.5" tubing, 2.5" extra-padded seat, black vinyl, 360 lbs. 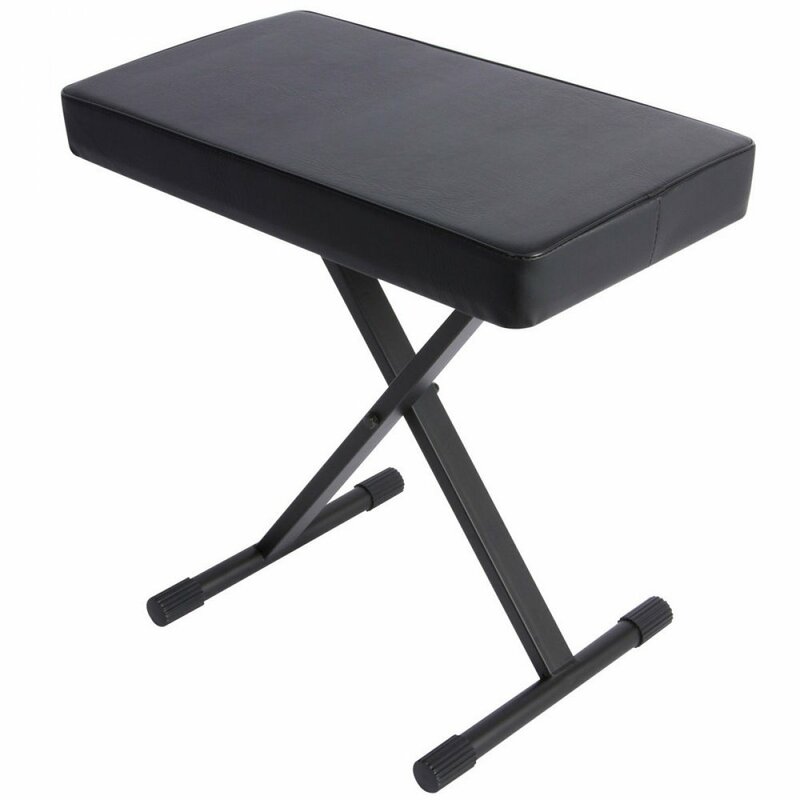 capacity.Our top-of-the line keyboard bench has no equal! The design combines a 2.5" cushion, which provides deluxe comfort for hours of play, with a spring-loaded double deadbolt locking system, which provides deluxe safety for peace-of-mind.